Can a sports car have luxury touches? Why not? The R33 GT-R has power windows and mirrors, air conditioning and a stereo with power antenna all as standard equipment, so the answer should be YES! Although these items add weight, unless you're driving a Caterham or Lotus, I'm hard pressed to find a modern sports car without these amenities. Anyway, I've recently begun to think about how I can make my car MORE comfortable and modern, yet still remain a sports car. But what kind of modifications could I do that are relatively easy, don't add too much weight, and don't cost too much? With the car having been made in the late 1990s, I naturally have looked at the modern cars of today for some inspiration. Enter LED lighting. LEDs are great, they don't draw too much current, and last longer than regular incandescent bulbs. Which means I can easily wire them into places where it would be a pain to have to change a bulb occasionally. The problem seems to be, most people go completely overboard with LED lighting - using LED tape strips to line their doors, daylight running lamps, rings for the BMW angel-eye look...Nope, not happening on my car. It has to be subtle, and something that Nissan probably would have installed as standard on an upmarket car. 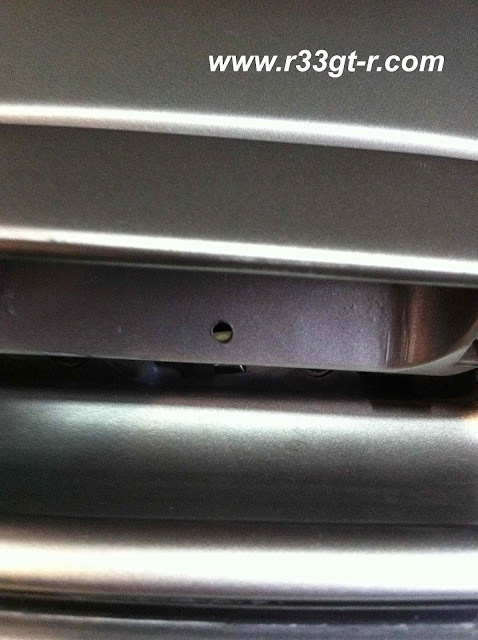 As I had the door cards off when I was adding noise dampening and sound insulation, it occurred to me that it would be a good time to do this DIY install. Installing the LED itself turned out to be pretty easy, with the right parts. The hardest part of this was figuring out how to wire the LED into a circuit that would turn it off and on at the same time. Luckily, in fooling with the ignition key light surround, I realized that I could simply tap into this circuit, as it is on exactly the same circuit as the one the interior lights are on. Once the doors are shut, a few seconds later when the interior lights dim, so does this bulb. 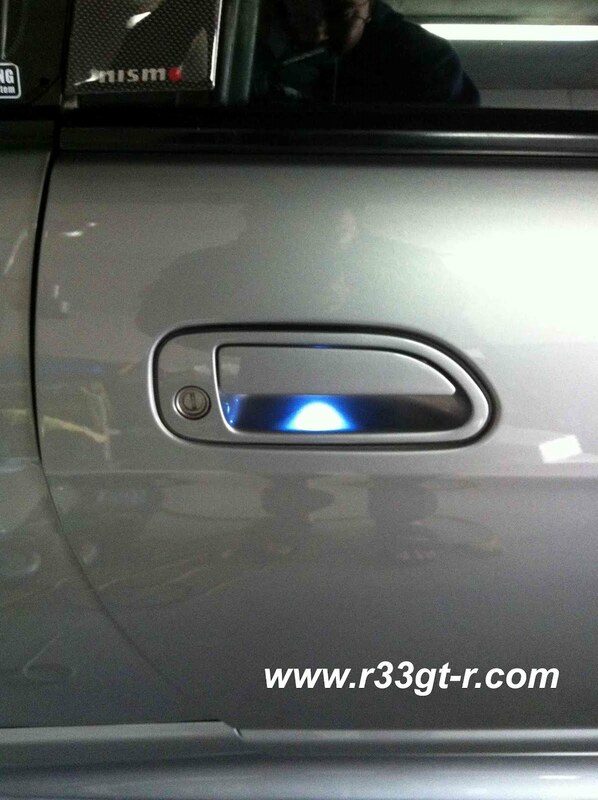 And when the doors are unlocked, this lights up. Perfect. Electrical source problem solved, I simply ran leads off of the wiring leading to the bulb, wired/soldered in the appropriate resistor in between (for the "fade out" effect), and ran lines from this area towards the doors. At the junction between the body and the doors, I found I could not run the wires alongside the factory harness. Luckily, Nissan provides a separate opening (there is a rubber grommet that blocks out the elements), so I simply pushed the grommet out, ran the wire outside the body this way, and then joined the wire to the factory harness that ran into the door (with judicious use of zip ties, and some silicon sealant for the holes that had to be sealed). 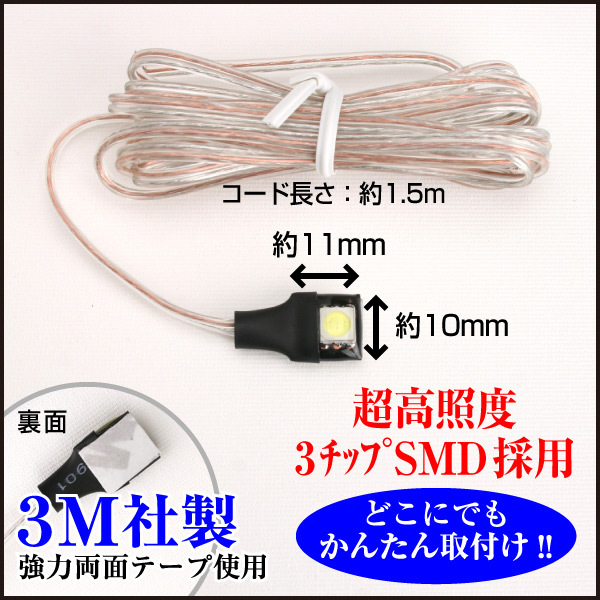 A 3chip SMD led, with flat side that already comes with 3M adhesive tape. I chose the white color, even though other colors are available - remember, what would Nissan do? 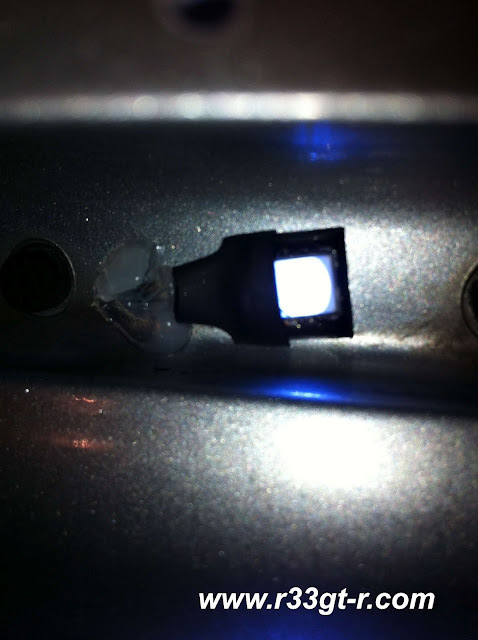 First though, I had to drill a small hole into the B side of the door handle, for the LED illumination to come through. Then, I drilled a small hole in the door itself near where the hinges of the door handle are, for the LED wires to be inserted into. After that, it was simply a matter of peeling off the sheet on the 3M tape, making sure the mounting surface was clean, and sticking the LED on. For good measure, I used some silicon sealant to weatherproof. And here it is at night, you can seen how it looks better than during the day. Fantastic finish Aki. 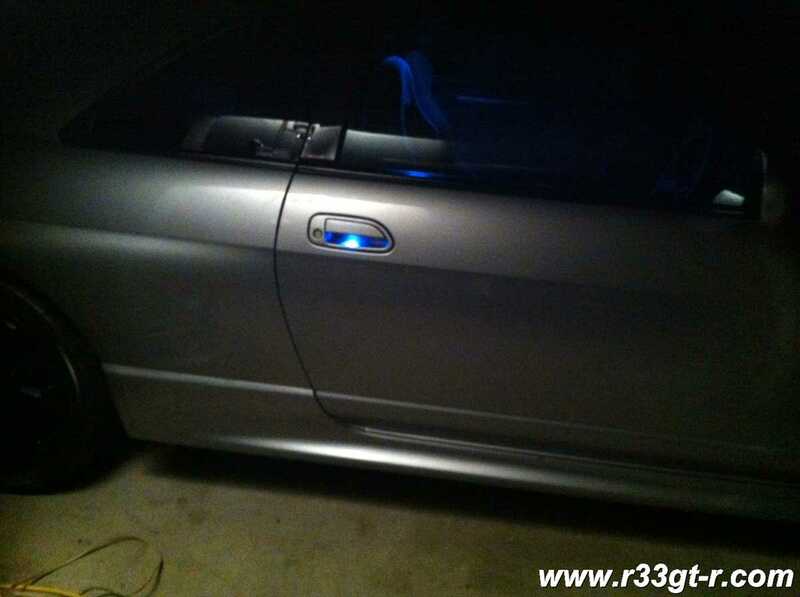 Seems the S14 doesn't have a dimmer feature in the circuitry. Excellent work Aki. just for the love of god please do not install those EURO Daytime Running Lights. it shits me to tears.